Tutorial videos have finally been updated for version 3.6. Check out the tutorial section for details. I have tried to cover the main topics that should help you understand most of the software. If there is something that I should add, then feel free to drop me an email. 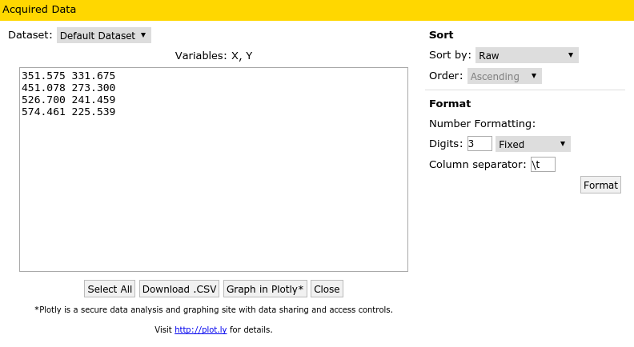 WebPlotDigitizer Now Listed on the FSF Directory! I am happy to see that what started out as a small tool for my personal use is now used by many around the world! The first release of this year is out! This one contains a few minor upgrades to the user interface. 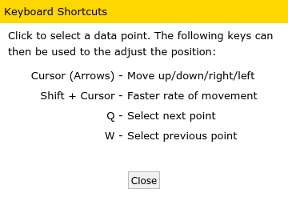 Thanks to Zlatan Stanojevic, the new keyboard shortcuts should make adjustment of a large number of data points pretty quick. He has also added the option of changing the column separator in the final data table.